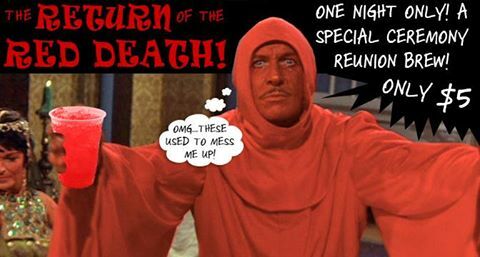 For those who remember, Ceremony’s most (in)famous drink was certainly the Red Death…so we are pleased to announce that Cattivo will be offering them for $5 at the Reunion! This version is specially formulated to taste like the recipe served at The Upstage. Enjoy one if you dare! Cattivo is known for good food, particularly pizza. Come early, stay late, and get some dinner in between! Check out their menu.